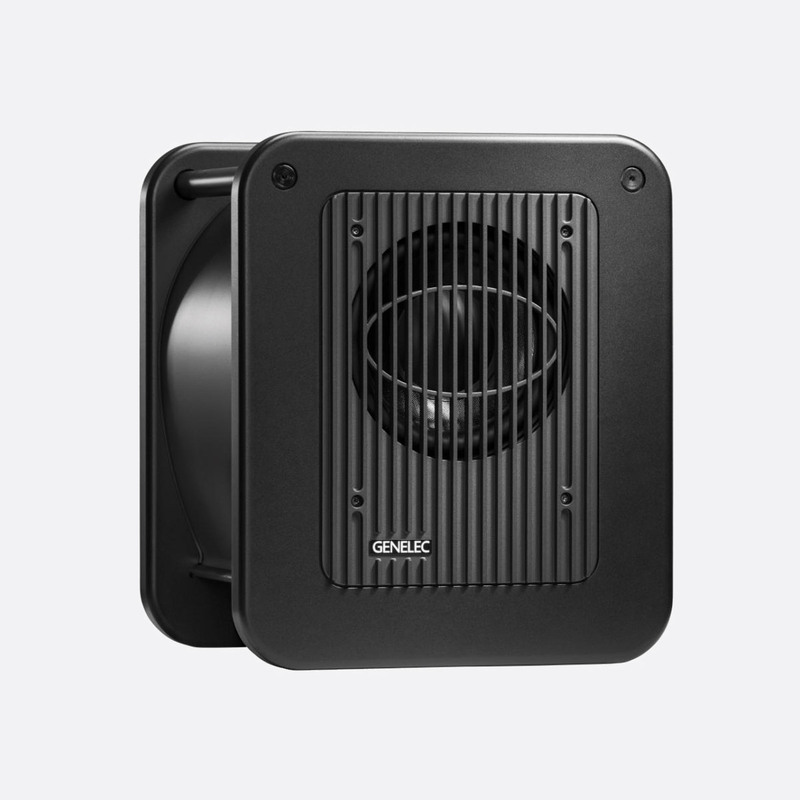 Genelec LSE (Laminar Spiral Enclosure) sub-woofers are bass-reflex cabinets made of sheet metal rolled into a spiral shape and clamped between thick MDF side panels. This new construction technique provides excellent laminar flow characteristics with minimal turbulence noise and enables an optimal packing of a very long reflex tube into a small space. 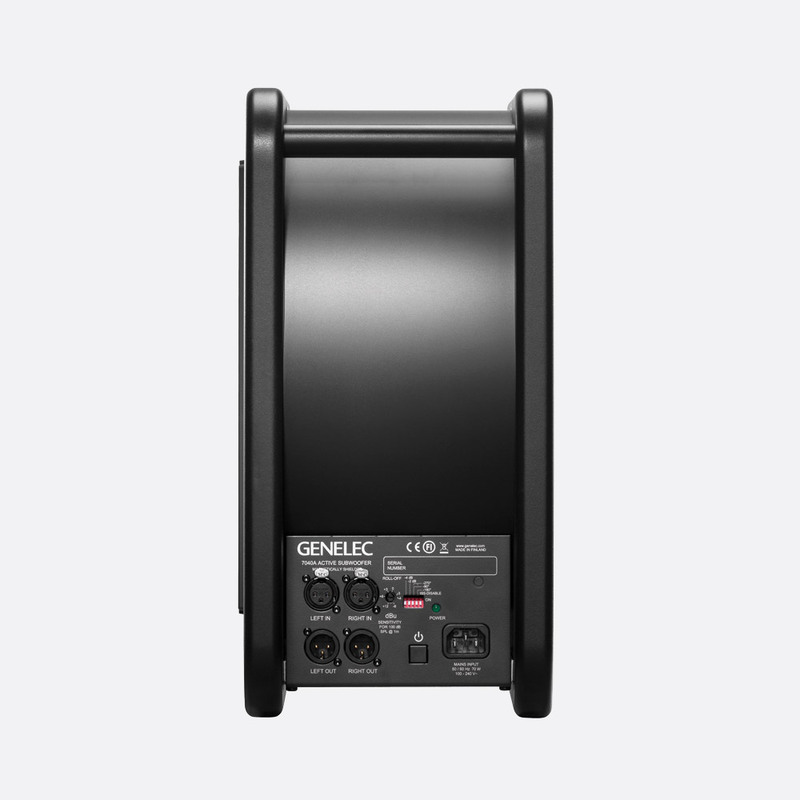 Designed for compatibility with Genelec 8010 or 8020 active monitors, the class D 7040A sub-woofer provides up to 50 watts and 100dB within a comparatively small footprint, making it suitable for environments such as production studios, home studios and 2.1 home cinema set ups. LSE technology tightens up the low-frequencies produced for better articulation. The magnetically shielded 7040A has a connection panel on the right side. 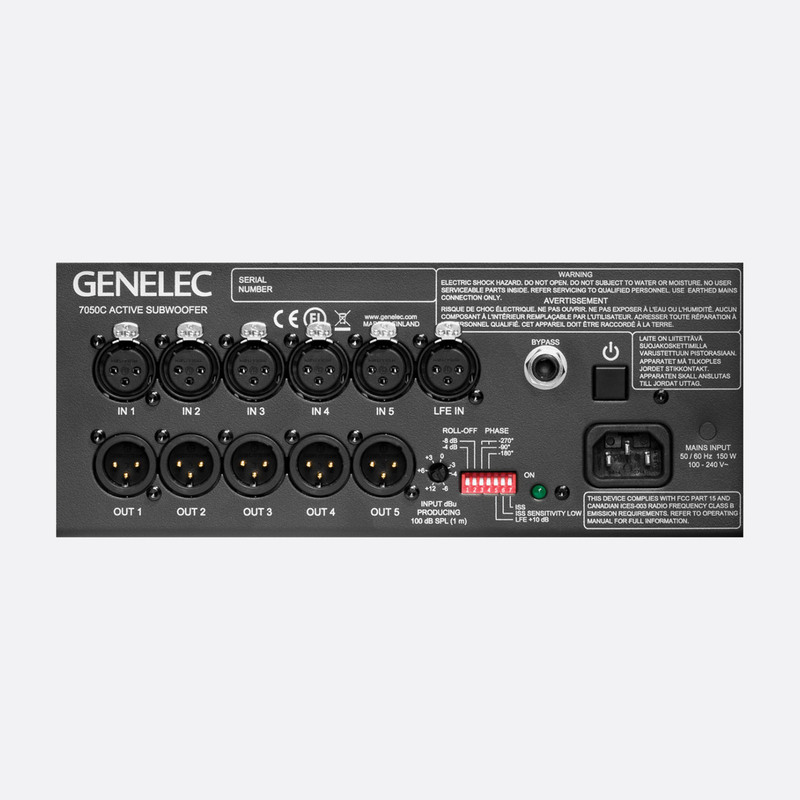 Two balanced, 3-pin XLR inputs are mirrored with 3-pin XLR outputs to link to compatible monitors or satellite speakers, whilst a matrix of five miniature (DIP) switches adjust input phase and bass roll-off to -2/-4/-6dB. 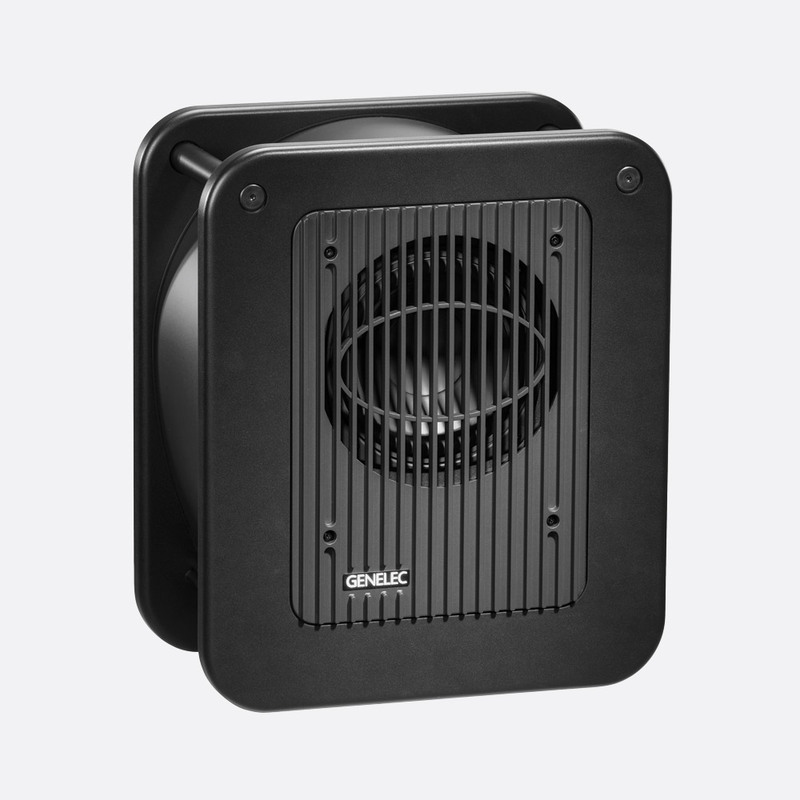 A recessed rotary control allows the user to adjust the input sensitivity of the speaker. AC mains power is connected via an IEC inlet and a latching push-switch turns power on/off. ISS (Intelligent Signal Sensing), which can be deactivated using a DIP switch, allows the active sub-woofer to switch to standby mode when no input signal has been detected for one hour, and instantly return to operating mode when a signal has been detected. 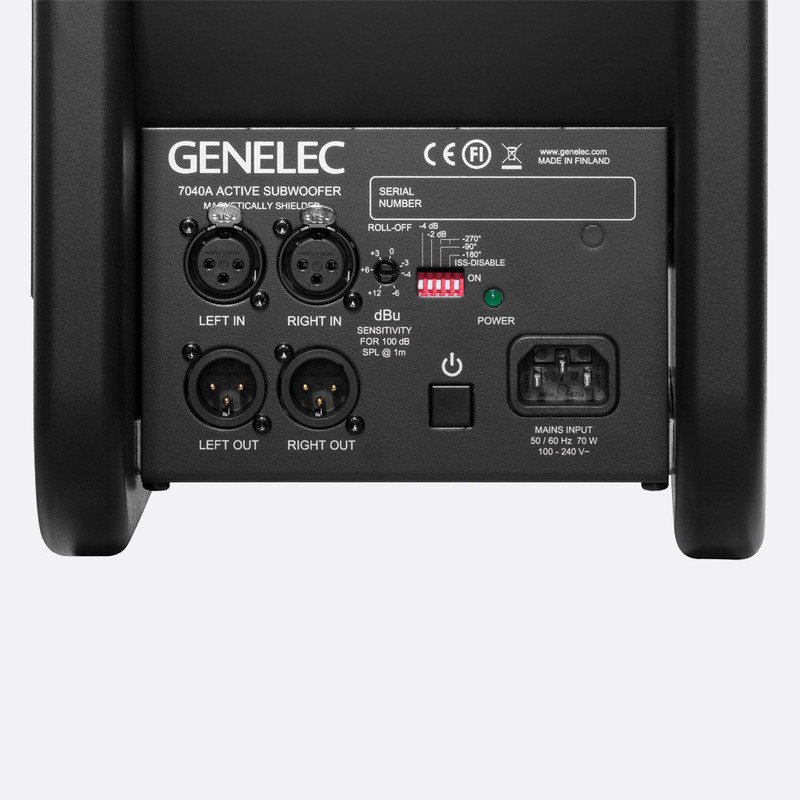 A compact LSE low-frequency loudspeaker, incorporating all the amplifier and crossover electronics needed to combine it with Genelec 8010 or 8020 monitor from the 8000 series. 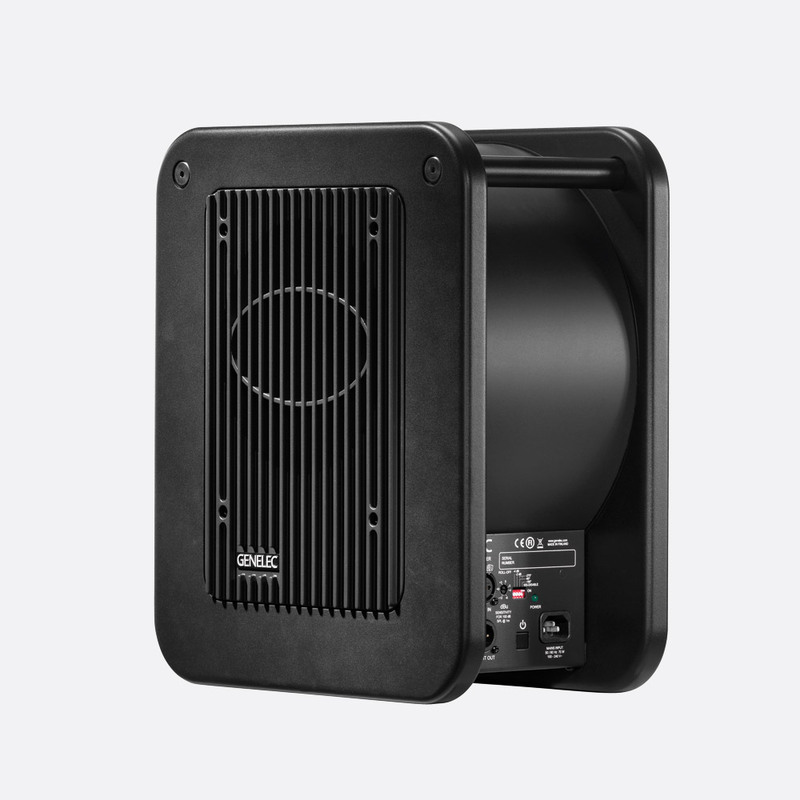 Following from the 7050B, the 7050C includes a bypassable bass management system, a lower distortion level, and a increased maximum SPL of 103dB. Adding the 7050C to a pair of these, creates a compact near field monitoring system capable of frequencies extending to 24Hz. All analogue audio I/O and switching of the magnetically shielded 7050C is on a connection panel located on the right side of the speaker. 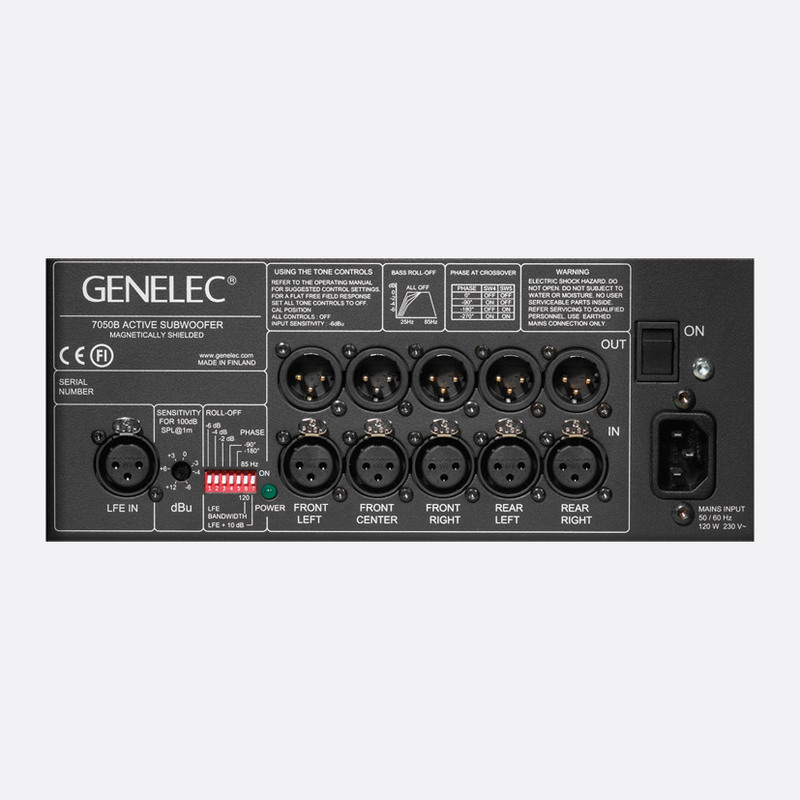 All five balanced inputs, Front Left, Front Centre, Front Right, Rear Left, and Rear Right are via 3-pin XLR connectors and have corresponding balanced 3-pin XLR outputs to link to optional main/surround satellite speakers. 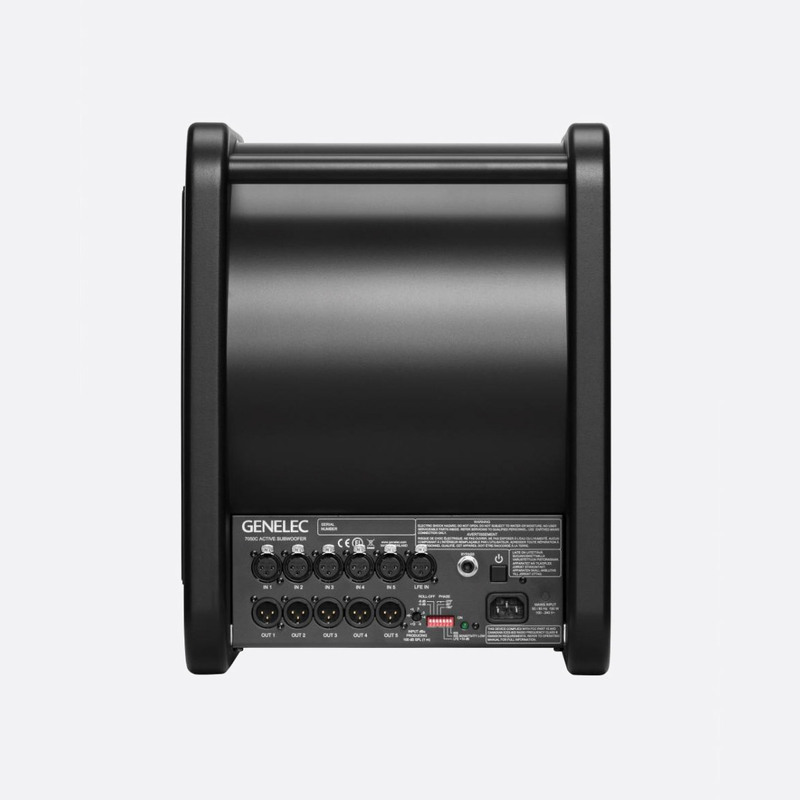 A balanced 3-pin XLR LFE (Low Frequency Effects) input channel allows the connection of a dedicated sub output from a compatible receiver or amplifier. A seven stage DIP-switch includes selectable 85/120Hz low pass filter and 0/+10dB sensitivity options for the LFE input. Other switches alter the phase and roll-off. A recessed rotary control adjusts the input sensitivity of the speaker. AC mains power is connected via an IEC inlet and a latching push-switch turns power on/off.